Cheese and port are the definitive symbols of bacchanalian Christmas feasts when families and close friends come together to celebrate and relax in each other’s company. And there’s good reason a glass of port and a slice of cheese can oil the wheels of all this conviviality so effectively. 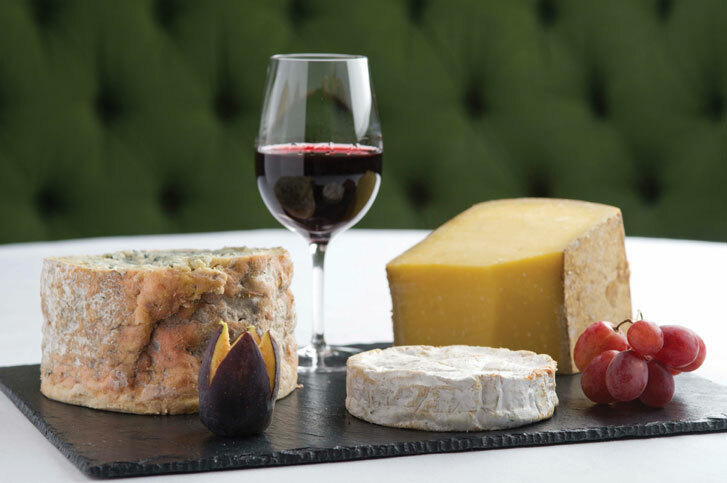 Port offers an array of flavours, from sweet, fruity and ripe berries to figs, raisins and toasted almonds, while cheese has a savoury and sometimes salty tang that contrasts beautifully with the port’s sweetness. As a practical guide to advancing our enjoyment, we’ve picked six ports from leading port lodge Taylor’s and matched them with a range of widely available cheeses.We found that most ports are very versatile and go well with many cheeses, but, of course, there are some really special pairings that shouldn’t be missed. Remember though, pairing port and cheese is a matter of personal taste and there are no wrong answers: the idea is to have fun and experiment. And don’t forget that while this kind of snacking works particularly well at Christmas, there’s no reason it shouldn’t be equally fun throughout the year! This first-rate introduction to port is a rich but elegant wine with generous fruit sweetness and intensity, softened by several years of ageing in oak vats. Its creamy restrained finish marries superbly with the full flavour and rich creaminess of cheeses such as Camembert de Normandie, Valencay or a goat’s cheese like Ticklemore with its citric, nutty notes. 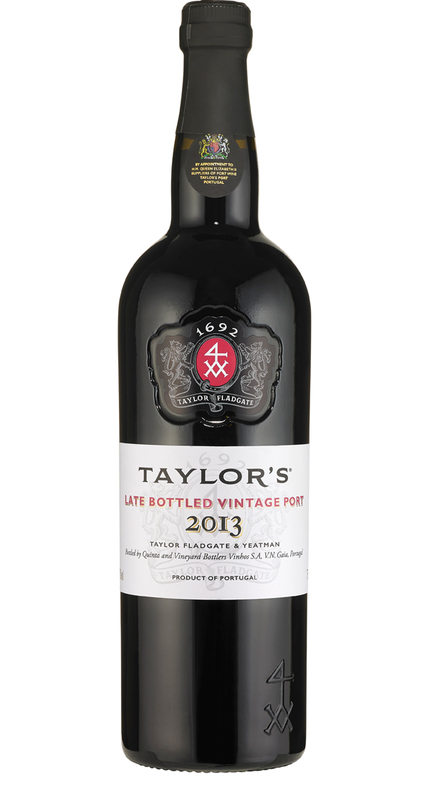 Late Bottled Vintage is the classic all-year-round port made from the grapes of a single year, aged in barrel for between four and six years and then released when ready to drink. It makes an excellent match for goat’s milk cheeses such as a fresh Valençay or a Sainte-Maure. As the thick crumbly texture of the cheese dissolves in contact with the wine, the ripe and opulent red berry fruitiness and delicate chocolate notes of the LBV merges with the rich, tangy flavours of the cheese. A great alternative match is a creamy cow’s milk cheese like Bix from Oxfordshire or a mushroom-flavoured Chaource from France, which match opulence with opulence. The bitter, intense flavours of Green & Black’s high cocoa chocolate also marries superbly with the sweetness and fruitiness of the LBV. Don’t forget this port can be served by the glass for several weeks after the cork is pulled. Aged tawnies, characterised by an attractive reddish brown colour, rich aromas of dried fruit and a smooth silky palate, are a must for Christmas. The sublimely complex, nutty, spicy, raisin-y Christmas-like flavours are a joy, as too the long intense finish. These pair beautifully with the fruity, nutty character of a mature farmhouse Cheddar like Montgomery, which brings out the nuttiness in the port. Aged tawnies also work well with Gouda or praline chocolates. 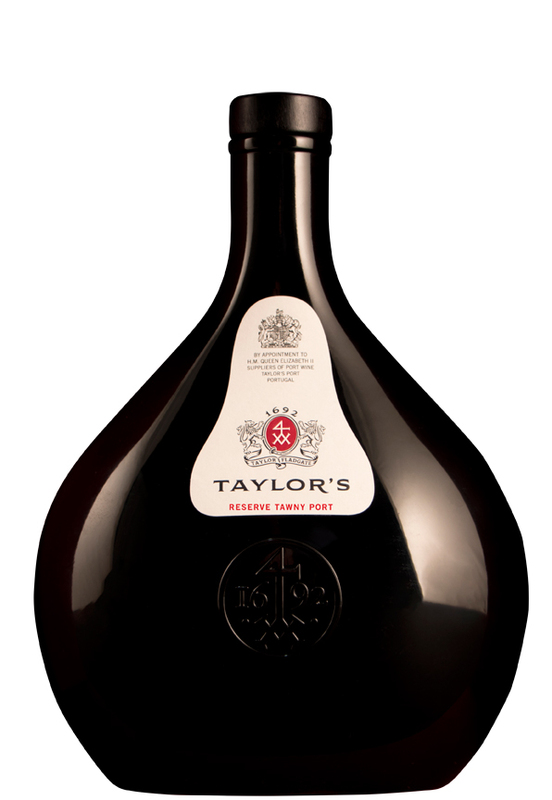 Don’t forget to serve tawny port chilled. 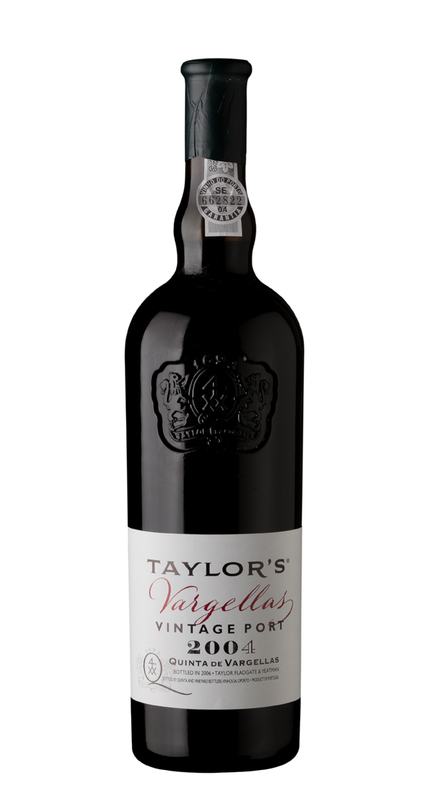 This blend of reserve tawny ports in a limited-edition bottle which dates back to the 1720s (Christmas gift anyone?) has bags of dense, luscious fruit – plums and dried fruit – rapped around butterscotch and hints of spice. It pairs wonderfully with a versatile and fudgy Comté or the more artisanal Mimolette, a French cow’s milk cheese. We loved the rich sweetness of the port with the nutty saltiness and umami flavours of the cheese. 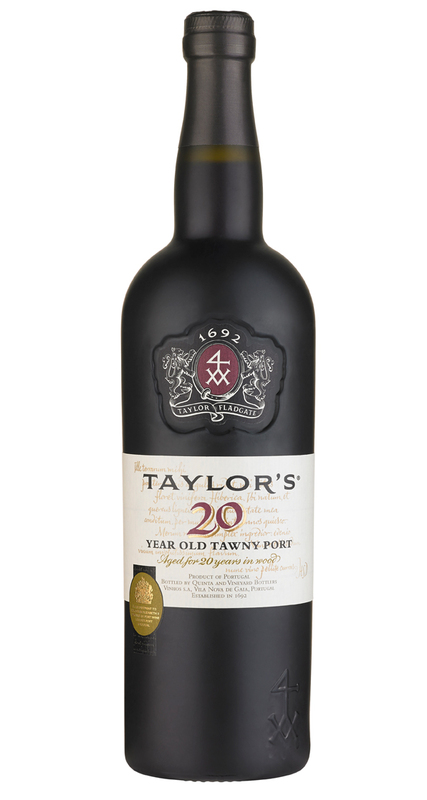 Taylor’s is one of the few remaining houses to produce a 20, 30 and even 40 year-old Tawnies, where casks of 20, 30 or 40 year-old reserve ports are blended for balance and finesse. Lighter in colour than the 10 YO, you’ll find dried figs, dates and honey aromas alongside nutty notes in the 20YO. While on the palate it is even more concentrated, with layers of caramel, nuts and Christmas cake flavours, and an awesomely long finish. Match it with complex aged cheeses like nutty, creamy aged Gouda to maximize the umami hit; and serve it slightly chilled. 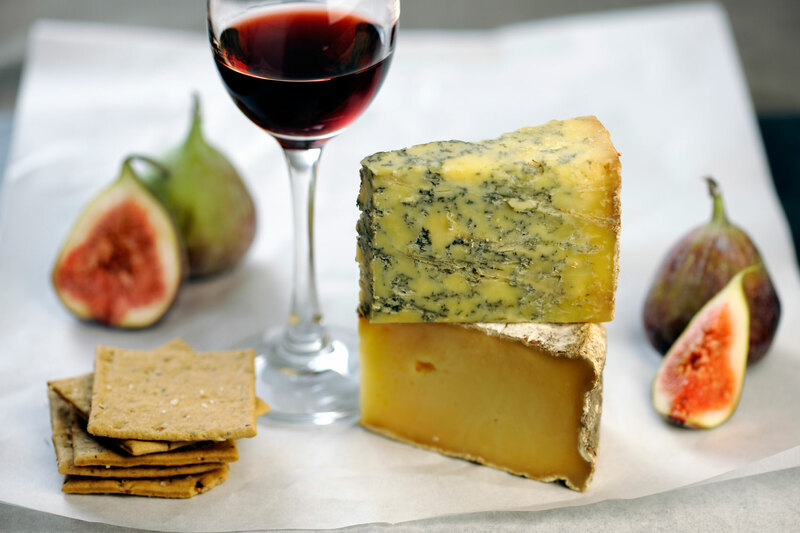 The pairing of vintage port and mature blue cheeses such as Stilton is one of the classic food and wine combinations – although Stilton also goes brilliantly with vintage-style ports like LBV or the fruit-packed First Estate. The soft, buttery texture, mellow character and piquancy of the cheese, together with a slightly sweet aftertaste, matches perfectly with the majestic and powerful flavours of this 2004 Vintage. We loved the warm plum and cherry jam notes and hints of violets with the tangy salt flavours in the cheese. Also try it with Cashel Blue and Roquefort, Julius Caesar’s favourite cheese. And if there’s some high cocoa chocolate, walnuts and dried fruit on the table, the integrated tannins, rich fruit, spice and chocolate palate of the vintage port will simply add even more dimension to the experience. To get started on your Christmas port and cheese odyssey, here are a few Taylor’s Port suppliers, who also provide a good range of cheese too..